Wild forest fires are currently sweeping through northern and southern California, causing masses of destruction to everything in the fires passed. Nothing seems to be exempt from the destructive force of the fire, from land to buildings. 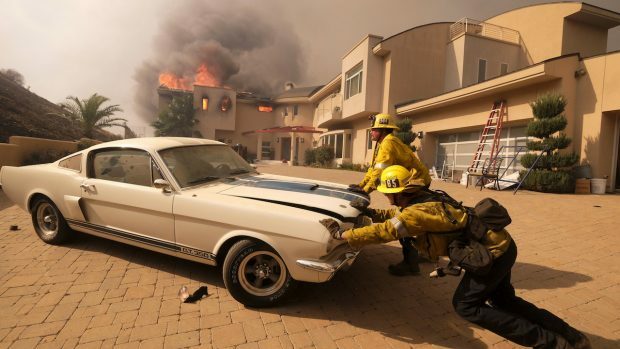 Firefighters are saving what they can along the way with one save being a 1966 Mustang GT350 as captured by ABC 7. From the image the GT350 looks like it was save just in time before the whole building was engulfed in flames. No other details are provided about the home, if it was occupied or not. The car is worth over $200,000 and is probably at least one consolation for the owners of the building.